"Rogation" comes from the Latin rogare, "to ask" (petition earnestly). 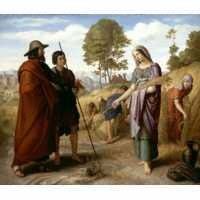 Rogation Sunday has for the Gospel the verse: "Ask and ye shall receive". Ancient Rogation days are observed on the three days before Ascension Day. 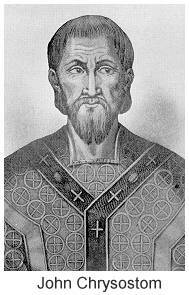 The Rogation days began in 470 under Bishop Mamertus of Vienne in response to a series of natural calamities. Later the prayers were for bountiful crops and the good work of farmers. On these days the priest might bless crops. Nowadays prayers may be for other occupations with a recommitment to their labors Rogation days may be used anytime where there is a specific need for earnest prayer -- as that was its original use in 470. A modern custom has been to focus prayers and actions toward charity to help feed poor folk.